From the time of his debut as Renato in UN BALLO IN MASCHERA with Luciano Pavarotti for the Opera Company of Philadelphia, American baritone Mark Rucker has been in demand in opera houses and on concert stage throughout the world. Last autumn he toured with Royal Opera house in the title role MACBETH. He recently sang his first Holländer DIE FLIEGENDE HOLLÄNDER for Òpera Royal de Wallonie. In a performance at Wiener Staatsoper as Stankar in STIFFELIO, the Wiener Zeitung declared: “The star of this opera evening was neither on the stage nor in the orchestra pit. The revival of Verdi’s “Stiffelio” became, at the state opera, the unexpected triumph for a singer, that did not act the role in this evening at all: Mark Rucker was at the edge of stage and sang Stankar from a music stand … The big aria of Stankar at the beginning of the third act was one of those moments, which constitutes the wonder of opera. Owing to the strength of the music, the magic of the moment and vocal intensity, Mark Rucker was able to construct excitement. Cheers of jubilation.” – Wiener Zeitung. Upcoming engagements include Jack Rance LA FANCIULLA DEL WEST for Opera Colorado and Paolo SIMON BOCCANEGRA for Royal Opera House, Covent Garden. 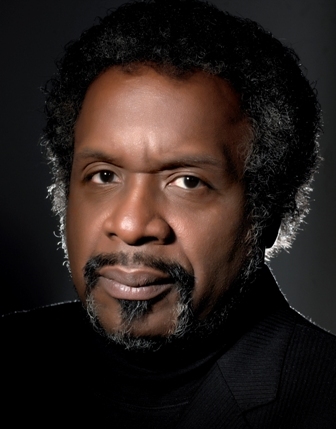 Mr. Rucker made his Metropolitan Opera debut as Amonasro AIDA and has since been heard in the house as Don Carlo LA FORZA DEL DESTINO, Tonio I PAGLIACCI, and as RIGOLETTO for the Met in the Parks. He made his European debut as Alfio and Tonio for Opera de Nice, and has continued his European career with performances as Alfio at the Vienna State Opera, Amonasro AIDA for the Staatsoper Unter den Linden in Berlin with Fabio Luisi and with the Concertgebouw Orkest under the baton of Riccardo Chailly, made his Italian debut as RIGOLETTO with Daniele Gatti at the Teatro Comunale in Bologna, and his debut at the Arena di Verona as Amonasro. Mr. Rucker subsequently returned to Bologna as both MACBETH, NABUCCO and the Grand Prêtre in SAMSON ET DALILA, made his Carnegie Hall debut as Don Carlo LA FORZA DEL DESTINO opposite Maria Guleghina and Salvatore Licitra, returned to the Concertgebouw in Amsterdam as both Antonio LINDA DI CHAMOUNIX and Le Comte de Toulouse in Verdi’s JERUSALEM with the Netherlands Radio Orchestra, has been MACBETH in Trieste, RIGOLETTO with the Israel Philharmonic, NABUCCO in Athens and was RIGOLETTO and Amonasro at the Netherlands Opera in Amsterdam and NABUCCO for Opern Graz. He has also sung RIGOLETTO, NABUCCO, MACBETH and the Grand Prêtre from SAMSON ET DALILA for Òpera Royal de Wallonie and will return as Amonasro AIDA for this company.